As soon as the guests arrive, it’s plain that the five old college chums have bad blood between them. When Anne finds a threatening note, it's clear that someone is out for revenge. Then they find a guest dead. At first, the death appears to be natural, but suspicions begin to grow. Vikki’s first words were “I get it!” This attitude became her life-long mantra to always go after what she wants. It also helped her realize her desire to help others get what they really want out of life. After spending years as a registered interior designer, Vikki began to write. While writing for periodicals, Vikki found herself on assignment interviewing publishers in Colorado Springs. It wasn’t long before the natural beauty of Colorado captured her heart. After moving to Colorado, Vikki worked with nonprofits. However, she soon realized she needed more autonomy in her work. Vikki started her own business as a nonprofit consultant and grant writer. She has helped nonprofits across the U.S. to receive millions of dollars for their work. Yet, she realized doing one thing wouldn’t satisfy her for long. Vikki became a Work Quilter™ combining her many passions to create multiple income streams. She started speaking and teaching adults on myriad and diverse topics around her knowledge, skills and passions. She's taught and spoken on Creative Writing, Design for Heart and Home, Fundraising Fundamentals , Suburban Homesteading, Permaculture, How to Get What You Really Want, and of course, Work Quilting. Two words that continually appear on instructor and speaker feedback forms are "engaging" and "knowledgeable." Vikki is also an experienced, professional global house and pet sitter. 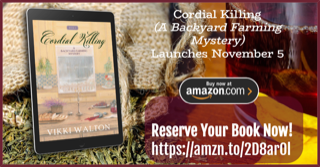 Vikki's favorite genre is mystery so it wasn't long before she had begun her first cozy mystery series. 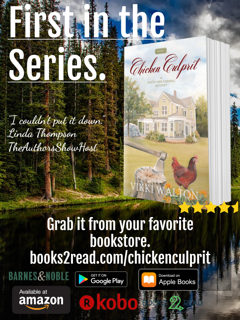 Incorporating her love of suburban homesteading, or as some call it, backyard farming, Vikki's first book is Chicken Culprit. You'll most often find Vikki out hiking with her dog, outside gardening, traveling abroad, house or pet sitting, or writing her next book. For fresh, remove from stems. Can also use other alcohol but brandy is most commonly used. Vegans or those who don’t have access to good local raw honey can substitute maple syrup. Acquiring local honey will provide your cordial with its own unique flavor. Place elderberries (and any optional ingredients, if using) into quart jar. Stir with wooden spoon or put lid on and shake. Place in dark, cool space (usually a cabinet will do) for three to four weeks. If desired, strain with cheesecloth and using a strainer, put into a decorative bottle. Or you can leave ingredients in jar. In winter take 1-2 tbsp daily for immune-boosting. If ill, take 3-4 tbsp (basically a shot glass) a few times a day until symptoms improve. This cordial can also be used as a base for poor-tasting tinctures such as osha. Can last for a year with fresh berries and longer if made with dried berries—if you have it that long! Elderberry is a wonderful plant to have in your yard or on your property. It has many medicinal benefits and uses. 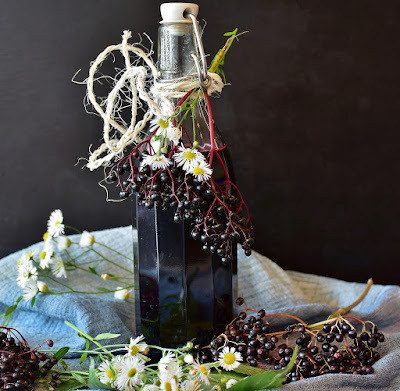 The elderberry plant most commonly associated with immune-boosting and flu-fighting properties is the dark berry plant (Elderberry Sambucus Nigra). Elder flower is also used in elixirs, teas and food. Elder was the International Herb Association’s Herb of the Year in 2013. It’s usually harvested in September. This Content is not intended to be a substitute for professional medical advice, diagnosis, or treatment. Always seek the advice of your physician or other qualified health provider with any questions you may have regarding a medical condition. 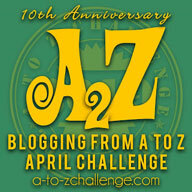 Hope, can you share with our readers about yourself? Certainly. I live above the shop of an herbal apothecary I own in Carolan Springs, Colorado. I’m also a medical doctor.. My mother, Faith, lives with me and I care for her. I’m an only child and I moved back to care for my mother when she started having health issues. I love living in a small town and I love Colorado. I’m in the perfect place for the life I want to live and the work I want to do. I have a new intern, Autumn, so that’s helping me to expand into other areas of interest. You’ve recently opened a bed-and-breakfast with your friends. Can you tell us about that? My father, Ralph Rogers, passed away, and I inherited his house. I didn’t know for years that Ralph was my father, so it surprised me when he left me the home in his will. The house is a huge, old Victorian that probably stood by itself for many years before the other homes went up around it. Anne, who has become a good friend, and Kandi, another friend, talked about the possibility of opening a bed-and-breakfast in the house. As they live on either side of the house, it works well for them. 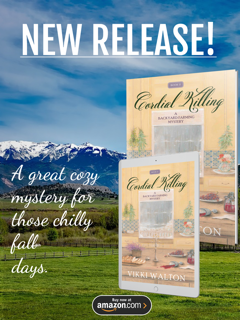 Anne has written and taught about suburban homesteading while Kandi is a great cook. Plus, I get to do teaching on herbs through workshops we hold there. It’s called the Brandywine Inn as Ralph was a big fan of Brandywine tomatoes. In the summer we open it up primarily for tourists and those who come for the homesteading fair. Then we can hold workshops in the spring and fall. I live in the small mountain town of Carolan Springs in Colorado. (Don’t try to find it on a map as it’s only in the author’s imagination). I have to say the weather here in Colorado takes some getting used to. There can be a snowstorm in the morning and by the afternoon, lots of bright sunshine and warm temperatures. The key is to wear layers at any time of the year! I finally learned that after living here for a few years. I’m excited about spring because it’s that shoulder season when it's normally crisp morning and sunny days. It’s a great time for hiking and seeing all the early wildflowers popping up and sometimes even mushrooms. We’re incorporating hike opportunities for our guests. Can you tell us a bit more about Carolan Springs and its inhabitants? It’s a fairly small town—around 3500 people—and just like everywhere else, you have many characters. My shop is along the main street filled with little shops and everyone is usually nice though we have some cranky folks just like any other town. I think Sheriff Carson and Anne should just get on with it and become a couple because they’re both so stubborn that they’d be a perfect match. But don’t tell them I said anything. Problem is they’ll probably end up with others. Oh well, what can you do? I’m sure you’ll find out more about the town’s residents in future stories. You mentioned the author, what can you tell us about her? Well, she was born in Chicago but spent most of her life in Texas—around the San Antonio area. But just like me, she loves Colorado’s mountains. She grows and uses herbs and making her own tinctures, tonics, and salves. She loves the basic edible herbs like basil, cilantro, dill, and others. A few of her favorite medicinal herbs are astragalus and osha for tinctures along with comfrey she uses in salves. 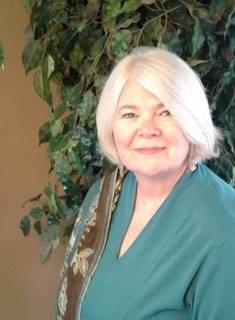 In addition to writing mysteries, she’s also written nonfiction books. She loves everything about being a suburban homesteader or what some call backyard farming. She’s a certified permaculture designer, has chickens and beehives and gardens of various types. Hope, can you tell us what’s next for the series? We’ve all been talking about getting beehives for the property, so we can offer honey to our guests. Having bees on the property will also help with all the gardens we want to install. I wouldn’t be surprised to see one of those being a part of the next book in the series. I can’t think of anything. Though my mother (Faith) says she has a bad feeling about our opening weekend at the bed-and-breakfast. She has second-sight so that’s a bit disconcerting that she says she has a bad feeling. But I’m sure it’s nothing. I hope.